This photo was taken just as Melissa and Nick exited their wedding ceremony at the Evangelical Lutheran Church of the Ascension followed by their reception at the Charles Morris Center. Harvey Designs did an amazing job, as always, with the day’s flowers. All About You Entertainment provided an amazing night for music for everyone to enjoy while guests were also enjoyed sweets and treats from Tier Luxury Cakes, Gigi’s Cupcakes and Leopold’s Ice Cream. We especially loved Melissa and Nick’s outfit change before their big exit. Dressed in her mother’s wedding dress and Nick in a suit from his parent’s wedding, they made their getaway in a vintage police car used on the Andy Griffith Show. 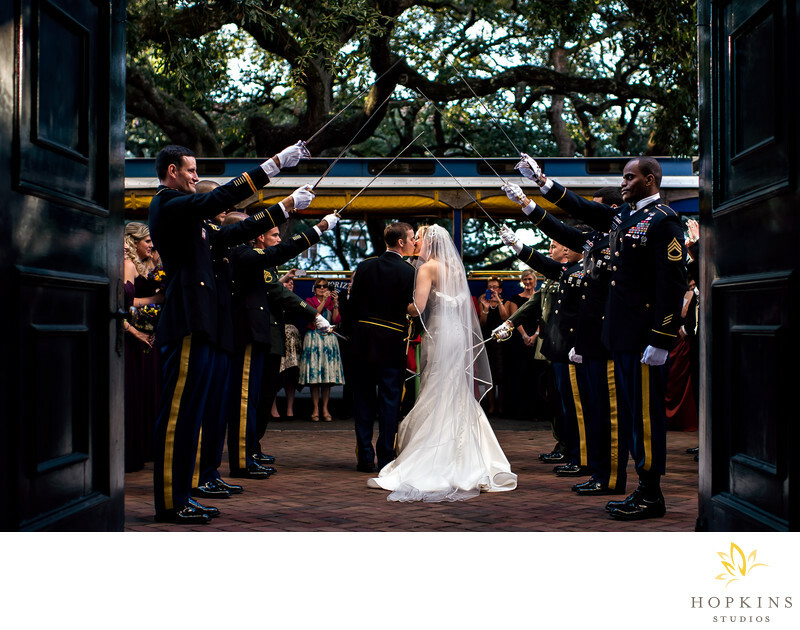 Melissa and Nick’s wedding was a featured wedding on Junebug Weddings.Keywords: Charles Morris Center (3), junebug weddings (6), savannah (33).